Surrogacy has been announced by the Law Commission as one of the areas of outdated law to be tackled in its’ 13th Programme of Reform. This is huge news for campaigners and lawyers who have experienced first-hand the unfairness and heartache often caused by the current, outdated, legal position. The press have often latched on to high profile surrogacy cases making it an area of law which suffers heavily from sensationalist journalism and reporting. Although sometimes unhelpful, the sheer level of reporting has led many flaws in the current system being canvassed in the open, pushing surrogacy further and further up the agenda. So what exactly is the law currently? Surrogacy in the UK is legal, but not on a commercial basis. Surrogates may only receive ‘reasonable expenses’ for their efforts, and any payment of remuneration can, and has, been challenged in court. Intended parents (known as ‘commissioning couples’) must make their surrogacy arrangements on an altruistic basis, and surrogacy contracts are unenforceable. Setting up surrogacy arrangements for commercial gain is also against the law, as is drafting surrogacy agreements for commercial gain. There are a number of not-for-profit organisations which are able to offer these services. 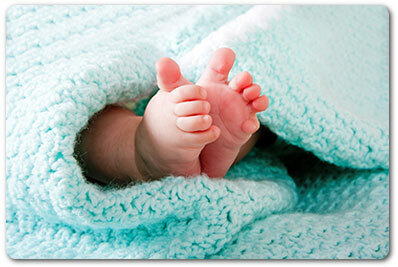 The restrictions placed on the practice were done in an attempt to stop commercial surrogacy. The legislation itself (The Surrogacy Act) harks back to 1985 – a time when leg warmers were all the rage and surrogacy was relatively foreign to most people. Since then, surrogacy has increased in demand and public opinion is very much more favourable than it was at that time. Despite this, the law has never been reformed despite several consultations, reviews, lobbyists and negative court judgements on the matter. The tight legislation has led to a number of commissioning couples going abroad to seek treatment in jurisdictions in which commercial surrogacy is legal (India and the USA being key hot spots). The problem that this has posed for the courts is on their return from those jurisdictions. The court must be satisfied that no money or other benefit, other than “expenses reasonably incurred” has been paid either for the surrogacy itself or for arranging the agreement. Many high profile cases, often involving international surrogacy, have highlighted to the general public the practical realities of such tight regulation, with many children being left in legal limbo during the Parental Order application process. Family law judges themselves have also been stuck between a rock and a hard place as they are faced with commissioning couples who may not meet one of the criteria for granting the order (for example, a commercial payment having been made abroad, or a delay in the application being made due to immigration issues) but for whom the best interests of the child dictate that the order must be made anyway. For some commissioning couples, they are left with no alternative but to apply for an adoption order for a child who they consider to be their own. The law as it currently applies to surrogacy is completely obsolete and out of touch with the reality of those who take part in altruistic surrogacy arrangements. All of the major surrogacy organisations have been lobbying parliament for quite some time that change is drastically required in order to provide legal protection for surrogates, commissioning couples and most importantly the children born at the end of it all. Surrogacy being included as an area to be reformed in the Law Commission’s 13th programme of review is a huge leap in the right direction. With the review now going ahead, this could ultimately change everything for those involved with surrogacy. At the end of the day, the key overriding principle for the court in the parental order application is what is in the best interests of the child. There are now widespread hopes that the law will be reformed to also have that as the key principle of the underlying legislation.